His playing bounced and leaped, sometimes galloping at a breakneck speed or meandering at a walk. 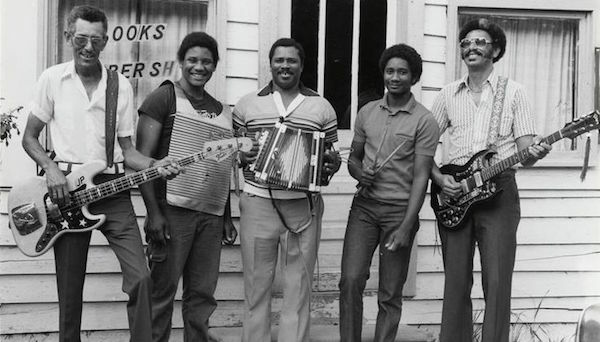 Horseman and musician John Delafose became well known following the 1981 release of his first album, Zydeco Man, with liner notes by the young folklorist Nick Spitzer. Delafose’s singing didn’t have a wide range, but it was warm and full of feeling, and his accordion style crackled with bundles of fast notes separated by long, mournful ones. He learned a lot from senior Creole musicians of the old school, playing waltzes with two-steps and singing in French as well as English. His repertoire included traditional Cajun songs, songs learned from his musical mentors, covers of blues and r’n’b tunes, and original songs. Delafose had a huge south Louisiana hit with his 1990 “Joe Pete Got Two Women.” He often used traditional melodies with his own lyrics, a practice familiar in all folk styles. Working musicians have a hard life, and Delafose’s second heart attack brought him down at age 55 as he played at Richard’s Club in September 1994. 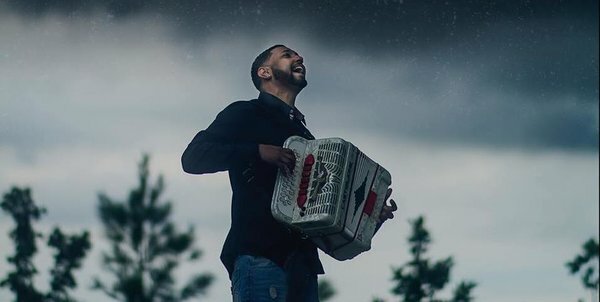 Son Geno switched from drums to accordion and carried on after his father’s death and today is one of the top players. Leroy Thomas is enjoying his newfound fame. 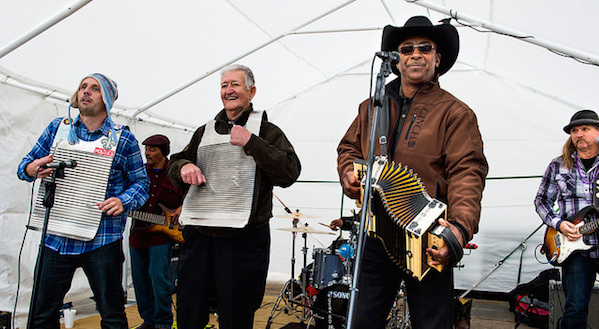 A zydeco musician for 31 years, Thomas estimates he’s traveled a million miles in the last 12 years with countless trips to Texas, California and beyond. Now Thomas is performing at least 17 gigs a month in his home state of Louisiana. In recent weeks, he’s done photo shoots and interviews for magazines and newspapers, stretching from Lake Charles to New Orleans. Thomas credits his musicians and a country flavor in his zydeco gumbo for the new celebrity. “I started doing, instead of just zydeco and fast music, I played a lot of slow songs,” said Thomas, 49, who lives in Elton. “I started doing some swamp pop and country music. But Thomas also mixes accordion with country on Darius Rucker’s “Wagon Wheel,” Rodney Crowell’s “Stars on the Water” and “Troubadour,” a Top Ten single for George Strait. “Friday Night” is a ballad for broken hearts. Blues lovers get “Rock Me Baby” featuring Thomas’ father, legendary zydeco drummer Leo Thomas. Leo’s influence goes back to Leroy’s childhood. Leroy and his brother imitated their dad when they made drums sets out of 5-gallon buckets and tree branches. They even hitched homemade wooden trailers, with lawn mower tires, to their bicycles so they could pull their drums to their pretend dances. Leroy eventually became an accordion player in his dad’s band for 15 years. But Leroy wanted to sing and Leo would have none of it. Leroy decided to become a full-time musician, leaving his job as a pipe welder in Houston. Working on the house and playing music on the weekends, Thomas erased his debt in four years. He’s since bought several plots of lands and rent houses, including an 1,800-squre-foot home he gave to his parents. Thomas plans for music and hard work to continue to build his future. “I went from losing a house through divorce and no money. Now I have three houses and pieces of property and waiting to have my dream home built. Creole United performed at Washington, DC’s Kennedy Center back in July, bringing their Louisiana movement to the historic venue for its free, daily concert series. The line-up of Andre Thierry, Sean Ardoin, Rusty Metoyer, Lawrence Ardoin and Ed Poullard played to an enthusiastic crowd, pulling tracks from their debut Non Jamais Fait CD. Watch a few videos of the night below, including clips of “Slow Down Man/Two Fingers in the Air” and “C’est Pas Bon” and keep tabs on the band’s upcoming projects here. Cedryl Ballou couldn’t help but play zydeco. The music and his family share deep roots. In 1954, Cedryl’s grandfather, Classie Ballou, played with Boozoo Chavis on zydeco’s first commercial hit, “Paper in My Shoe. The late Rockin’ Sidney, Grammy winner and composer of zydeco’s lone million seller, “My Toot Toot,” was Cedryl’s maternal grandmother’s husband. When Cedryl plays his white, triple-row accordion, he’s carrying some of Rockin’ Sidney with him. “He left that white accordion for me,” said Ballou, 32. “He played the piano note (accordion) and he was learning how to play the triple row. “He had written the notes to ‘Don’t Mess with My Toot Toot’ with a Sharpie on the accordion. With the sweat and everything, it’s faded away. Ballou has been showing off his family’s music legacy with his own brand of high-energy, contemporary zydeco, which is prominently displayed on his latest CD, “Country Roads.” Public radio station KRVS in Lafayette, La. 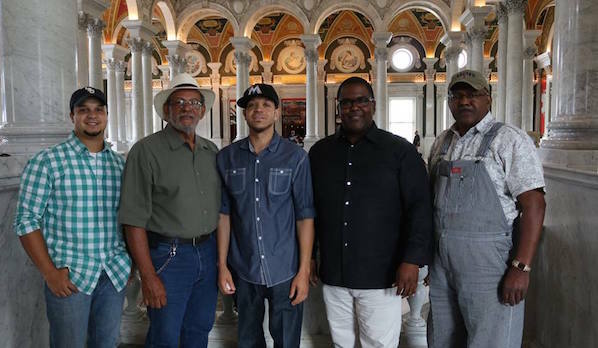 recently featured Ballou and band performing the single, “Letter,” in its Local Produce video series, which can be seen on YouTube. Although he’s only 32, Ballou has more than 25 years’ stage experience. At the age of 5, he started as a drummer in his grandfather’s band. The family was living in Waco, Texas, where Classie Ballou led the house band at Walker’s Auditorium. The group performed as the opener and house band for James Brown, Ike and Tina Turner and other R&B legends. 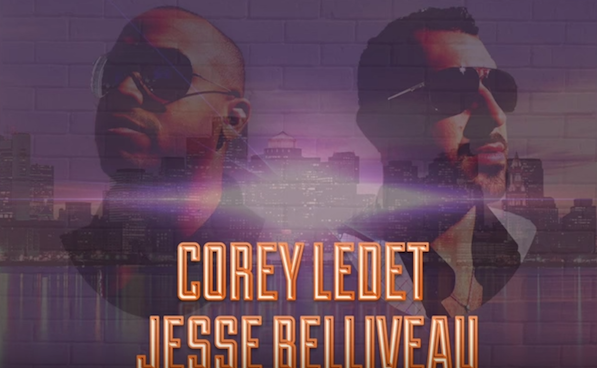 Corey Ledet announced a new side project he’s working on with producer Jesse Belliveau earlier week, debuting their cover of Whitney Houston’s “How Will I Know” on Wednesday. The track lends itself well to a zydeco cover. With its quick tempo, vocal filters and tasteful rubboard accents, it’ll become an essential dance song for sure. Listen below and stay tuned for more from the duo. Corey brings his band to Philadelphia for the Zydeco Crossroads finale weekend on Saturday, October 24th at World Cafe Live. Tickets and the full schedule can be found here. 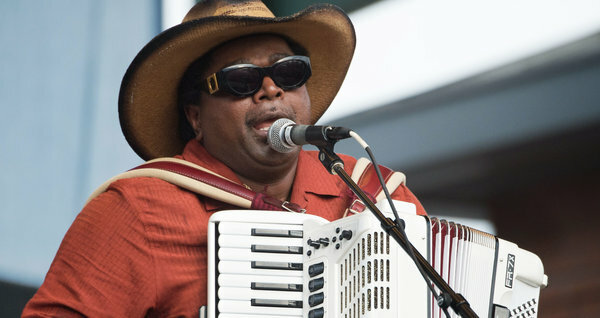 Nathan Williams has lived by the words, “you reap what you sow.” In his 30 years as leader of Nathan and the Zydeco Cha Chas, Williams has worked hard, throughout the United States and Canada, to establish a reputation as an ambassador of Louisiana culture. Williams is pleased with the results. “I keep putting out the best I can and keep moving,” said Williams. “Hard work pays off, no matter what you do. Good came back to Williams July 18 when the Louisiana Folklife Center inducted him into its Hall of Master Folk Artists. Located at Northwestern State University in Natchitoches, the Center serves as a research facility and archival repository for folklife materials. Since 1981, the Center’s Hall of Master Folk Artists has recognized state artisans in music, arts, crafts and more. Previous local inductees include D. L. Menard, Hadley Castille, Michael Doucet, Dewey Balfa and many others. Williams is grateful for the recognition. Williams has created a lengthy resume and numerous connections in his three decades in music. In his numerous travels, he’s shared stages with Janet Jackson, B. B. King, Allison Krauss, Travis Tritt, James Brown, Trombone Shorty and other stars. Williams has played in Carnegie Hall, World Trade Center, Lincoln Center, Hollywood Bowl and Sears Tower. His music was featured in In the Electric Mist, starring Tommy Lee Jones and John Goodman. Williams has passed along his legacy to his son, Nathan Jr., leader of contemporary zydeco favorite, Lil Nate and the Zydeco Big Timers. The father and son now record on the family’s own record label, Cha Chas Records. Despite his global notoriety, Williams welcomes the opportunity to play more at home. Except for the Breaux Bridge Crawfish Festival and New Orleans Jazz and Heritage Festival, his gigs have mainly been on the road. The band’s summer schedule has taken him to Canada, Massachusetts, New York, Maine and Rhode Island. “I’d like to play at home more, but I just thank God for what he gave me,” said Williams. “He knows that I try to be the best that I can be in my life. Musicians, friends and fans are remembering legendary zydeco and R&B drummer Clarence “Jockey” Etienne, who died Aug. 16 at his home in Lafayette, La. He was 81. With more than 50 years as a musician, Etienne played with zydeco legend Fernest and the Thunders, the Creole Zydeco Farmers, and swamp blues artists, such as Lazy Lester, Carol Fran and Katie Webster. In recent years, he toured with the swamp pop supergroup, Lil Band O’ Gold. In the 1960s, Etienne toured with R&B greats Solomon Burke and Joe Simon and played drums on “Nine Pound Steel,” “Choking Kind” and other Simon recordings. Etienne, known for his rhumba beat, was a studio musician at J. D. Miller’s famed studio in Crowley, which produced national and regional hits for Slim Harpo, Guitar Gable and many others. In the studio’s meager beginnings, Etienne played a cardboard box on Harpo’s “Scratch My Back,” which became a No. 1 Billboard R&B hit in 1966. Etienne also played his improvised drum on Harpo’s 1957 release, “I’m a King Bee,” which was later recorded by The Rolling Stones on their debut album of 1964. 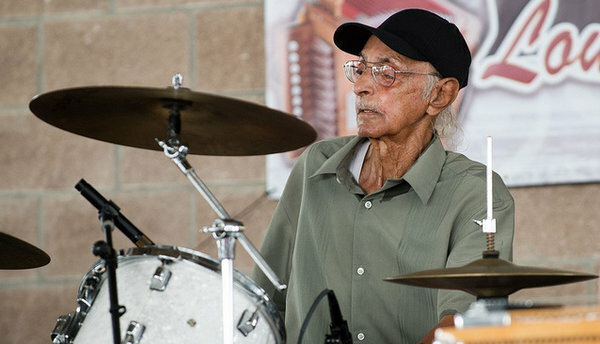 The cardboard box drumming became his signature, said longtime friend and blues guitarist Paul “Lil Buck” Sinegal. “All the times Lil Band O’ Gold would do something, he was there with his cardboard box,” said Sinegal. “We did three shows with Robert Plant (of Led Zeppelin). He was amazed to see Jockey play with that cardboard box. “He started with what they call swamp pop, but it was really rock ‘n’ roll. He brought that to zydeco. He had to learn the little licks for zydeco, but he kept his own style. Etienne earned the nickname “Jockey” after he began racing horses at the age of 7 at local tracks. He later did races as far as Mexico, before he became too tall to ride and retired. In 2013, Etienne received the Slim Harpo Legends Award, an annual honor recognizing the historical impact of Louisiana’s blues musicians. Tickets are on sale now for the Zydeco Crossroads grand finale weekend on Friday, October 23rd & Saturday, October 24th at World Cafe Live in Philadelphia. •	5 Zydeco Bands including Corey Ledet and His Zydeco Band, Rosie Ledet, Ruben Moreno, Keith Frank and the Soileau Zydeco Band, and Wayne Singleton and Same Ol 2 Step. •	Zydeco dancing, Cajun food, and more!